With so many types of holiday to choose from, capsule picking just one can be tough. Are you more in the mood for a relaxing beach break, advice or does tearing down the mountain on a set of skis sound more like your thing? If you’re thinking about a ski holiday, healing the following might help you decide if it’s for you. Few types of holiday can compete with skiing when it comes to sheer fun. You get up in the morning, get carried up into the mountains on a lift, surrounded by some simply stunning views, and then spend the day sliding down at a pace of your choosing. It really is incredibly good fun. Plus, there is also the après ski to enjoy too. With most resorts having some great nightlife, this is a really great way to enjoy yourself. Many people’s main concern about skiing is that it might not be safe. While it is true that accidents can happen on the slopes, if you have a good instructor and stay sensible, then you can have a good time with minimum risk. It is still essential that you have the right insurance for skiing however, in case the worst does happen. Here are some other good ski safety tips. Skiing used to be the preserve of the rich and famous. Today however, this is no longer the case. A skiing holiday will probably cost you no more than a conventional break, so it’s more widely available to those with limited budgets. You can ski in many countries all over the world. From the Alpine region of Europe, to Eastern Europe, North America and even Australia, there are magnificent slopes all over the world. Departing from the UK, Club Med Ski holidays in France, Italy and Austria are probably the most convenient, as you can be on the slopes in just a few hours. While there is nothing wrong with relaxing on the beach, the fact is that skiing is an experience – and one you may not have had before. You’ll be learning new skills, seeing incredible landscapes and making new friends. Put plainly: you’ll be going on a holiday that you won’t forget. 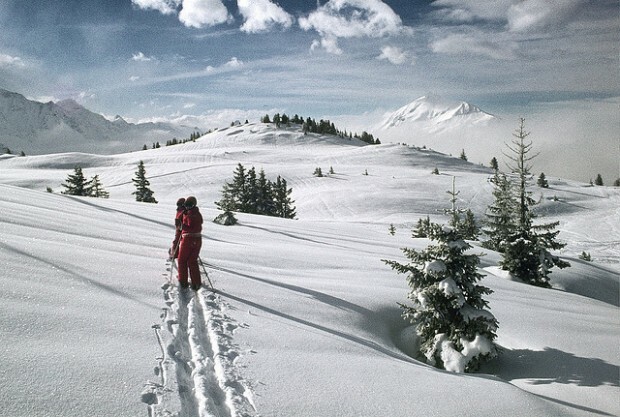 And as soon as you’ve been skiing once, you’ll almost certainly want to go back!